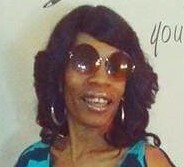 Laquita Sequania Williams Whiters, 49, of Columbus, GA died at Columbus Hospice, Monday, February 4, 2019. The family will receive friends on Sunday February 10, 2019 from 2:00 till 4:00PM at Vance Brooks Funeral Home, Columbus. A private interment will be held at a later date in Ft. Benning, Main Post Cemetery. Mrs. Whiters was born December 21, 1969 in Gary, IN, daughter of Loretta Gault and the late George Lee Williams. She loved and enjoyed working as a Substitute teacher with the Muscogee County and Phenix City School Systems. Mrs. Whiters was a member of the Teal Warriors, who she dearly loved, and the Gamma Lambda Sorority at CSU. We will miss her deeply; however we will forever cherish her memories in our hearts. Mrs. Whiters was also preceded in death by her husband, SSG (Ret) James Whiters, and a close family friend, Bobby “Hi-Way” Stewart. Survivors include her mother, Loretta Gault, FL; four children, Otis Williams, Columbus, GA, Orlando Jones, (Darlesha), Milwaukee, WI, Lashun McGee, Columbus, GA and Latrice Gault, Marietta, GA; six siblings, Miguel King, Jessica King, Barbara Taylor, Suncerae Williams, Elunga King and Otis Harper all of IN, two grandchildren, Rozlyn and Royal McGee both of Columbus; numerous other family members and close friends also survive.